In today’s day and age, hijamah is gaining popularity at a very rapid pace. Firstly, this is because it is a Sunnah which is enough for any Muslim to follow devoutly. Secondly, people are becoming aware of the long term side effects of medication which has forced people to look for other ways to treat an illness. The inquisitive nature of human mind forces us to dig deep into an idea and conduct a thorough research before taking a decision. 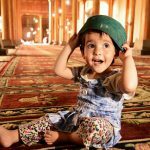 So this article is formulated by keeping in mind all those inquisitive minds out there who want to practice hijamah but also want to be fully certain about its benefits. There are many more instances where it has been narrated that it was practiced by our Prophet (peace and blessings be upon him). So, this mere fact that it’s Sunnah and that it should be done on a regular basis puts our minds to rest and generates a feeling of spiritual well-being and blissfulness. “Whenever someone would complain of a headache to the Messenger of Allah, he would advise them to perform cupping (hijamah).” (Sunan Abi Dawud). Before moving forward to other benefits, it is necessary to give a brief idea of how hijamah works. Basically, toxins, impurities, and cell debris are oozed out by drawing stagnant blood from certain points on the body. This is done by creating negative pressure through cups and giving shallow cuts onto the surface of the skin (wet cupping). This discharge of bad blood releases the unwanted pressure from these points and also makes it possible for the good clean and healthy blood to reach these areas. According to a 2012 analysis published in the journal PLOS One and mentioned on CNN, it is believed to restore the flow of “qi” — the life force. Hijamah can be done to remove the effects of poison from the body. Abdullah Ibn Abbas reported that a Jewish woman gave poisoned meat to the Messenger, so he sent her a message saying, “What caused you to do that?” She replied, “If you really are a Prophet then Allah will inform you of it and if you are not then I would save the people from you!” When the Messenger felt pain from it, he performed cupping (hijamah). For centuries hijamah has been put to practice for bringing relief from joint pains, lower backache, muscle spasms, sprains and rheumatic/arthritis related pains and aches. Jaabir ibn Abdullah reported that the Messenger fell from his horse onto the trunk of a palm tree and dislocated his foot. So the Messenger was cupped on (his foot) for bruising.” (Sunan ibn Maajah). 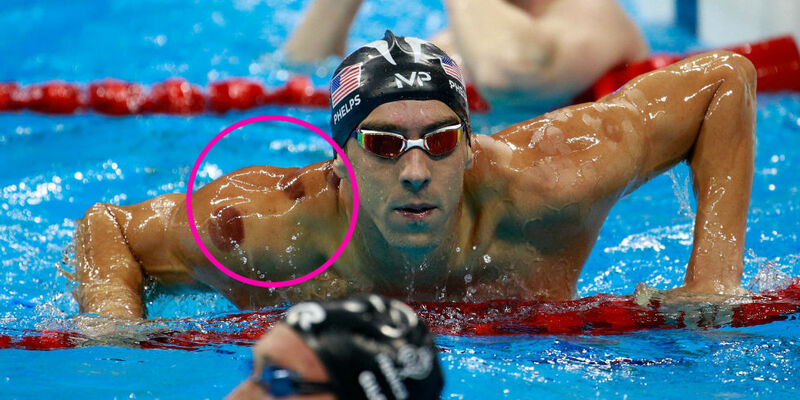 Recently, when some Olympic athletes were seen with polka dots on their body, it was discovered that they were actually using cupping to improve performance by reducing stiffness, muscle cramps, joint paints, and scar tissues caused by injuries. Throughout history, hijamah therapy has been used to cure bowel and stomach related diseases such as frequent stomach pains, diarrhea, acute gastritis, loss of appetite, gastrointestinal diseases and water retention. Hijamah also helps in treating respiratory issues and cold. 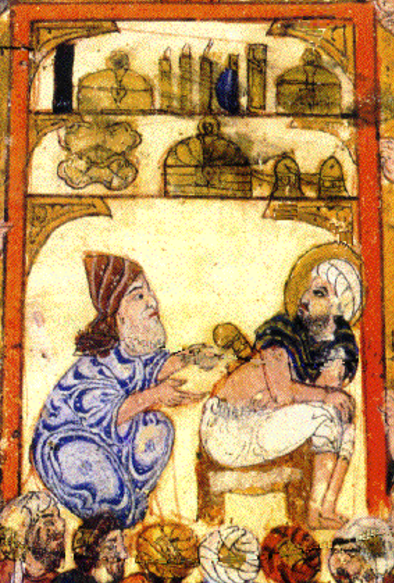 Treating diseases like pulmonary tuberculosis with hijamah is found in history long before other prescriptions were available. It can clear lungs of phlegm, mucus, and other harmful impurities and restore its healthy functioning. It can also be used to treat old chronic coughs, asthma, and allergies. After mentioning a few from a long list of benefits, I would like to end this article on an important note i.e. hijamah is a healthy living style and an important fact to be kept in mind is that the “hijamah should not be treated as a one-time thing only.” The practitioner should stress on the need of doing it on a regular basis as it has been observed that to completely treat a problem it is necessary to have few sessions of hijamah, as and when recommended by the practitioner. I hope you will start doing hijamah soon. I am starting it soon as well. Author Bio: Farheen Khan is a business administration graduate based in Saudi Arabia. When her kids are at school, she puts on her smarty-pants glasses and writes for Hijama Nation. Her mind runs on heavy doses of caffeine, prayers, and creative imagination.